Daily planner offers detailed planning to organize your day. Dated planning pages range 12 months from January to December. 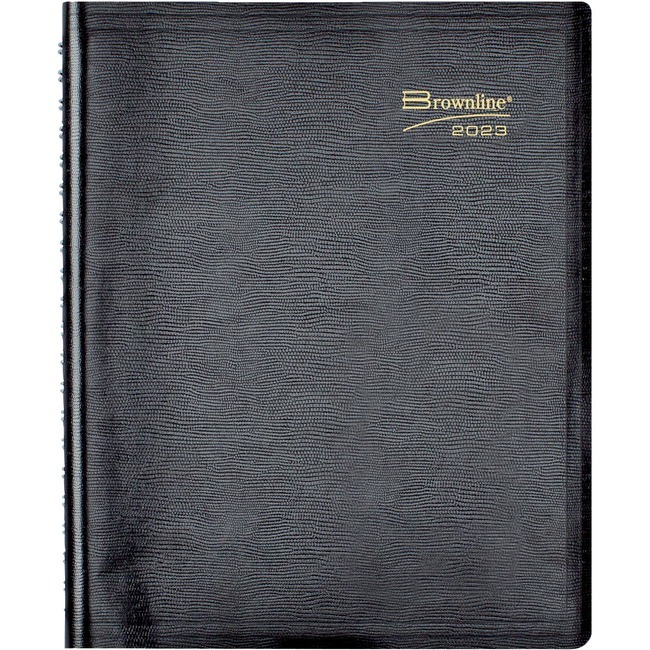 One-page-per-day format includes ruled columns, appointment times from 7 AM to 8:30 PM in 30-minute intervals, space for evening appointments, count of days/days remaining, holidays, moon phases, and a things-to-do section. Monthly indicators along the edges allow quick access. The past, current and two future months reference stretches across two pages. Current reference month is boxed for quick identification. 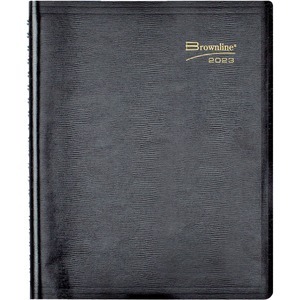 Nonrefillable planner also includes a telephone/address section, soft lizard-like cover and twin-wire binding. Planner is printed in English. Sheet Width : 8 1/2"